History of Speakers’ Corner. | Speakers' Corner, Sydney. John Webster entertaining the crowd in 1973. Speakers’ Corner in the Sydney Domain began in 1878, when Pastor Allen, a Baptist social reformer, took his platform there, after the Government closed Hyde Park (Sydney) as a venue for public speaking in 1874. The reason for this closure was the culmination of heated debating between Pastor Allen and the Irish Catholic community over the Irish Home Rule Bill. Catholics attacked the Pastor’s platform. A riot broke out and bricks were thrown at him. Not to be thwarted, Pastor Allen, and all the orators who had spoken in Hyde Park, moved north into the newly opened Domain. The orators began to speak under the shade of the large Morton Bay fig trees which grew in the park. The Domain became the safety valve for the city’s problems. Low wages, overcrowding and rigid class lines, meant that the worker of the city had little to look forward to. In those days, the only public holiday was the Sabbath (Sunday). All shops, hotels, sporting events and entertainment closed. Sunday meant church services only. 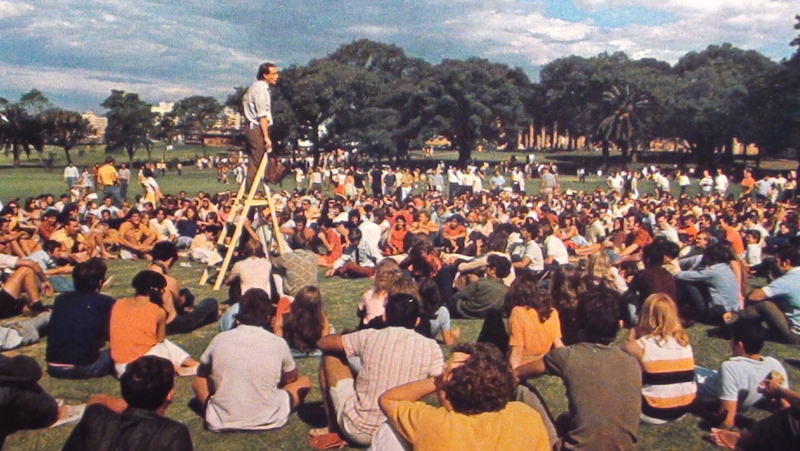 It was with this backdrop that the Speakers’ Corner in Sydney developed. Late in the 19th century, The Art Gallery of New South Wales, the Botanic Gardens and the State Library lobbied and won the right to open on a Sunday for the benefit of the workers. Not so lucky were the early Freethought Sunday platforms. These platforms were usually held in theatres on a Sunday night. The Government of Sir Henry Parkes made it illegal to charge admission to such theatres on a Sunday. This made it impossible to raise money to fund any anti-religious organisations such as the Freethought movement. Charles Bright, a leading Freethinker, mounted a campaign to oppose such a law. Denied any access to halls, the Freethinkers took to the Domain. The early Freethinkers began a strain of religious criticism on the Domain, which has continued to this day. The Domain became a place where people could spend a Sunday listening to the philosophies of the day: Darwinism, socialism, single taxation, anarchism, temperance, phrenology, the Salvation Army, Christadelphians, or Calvinism. All possible points of view were represented and argued. 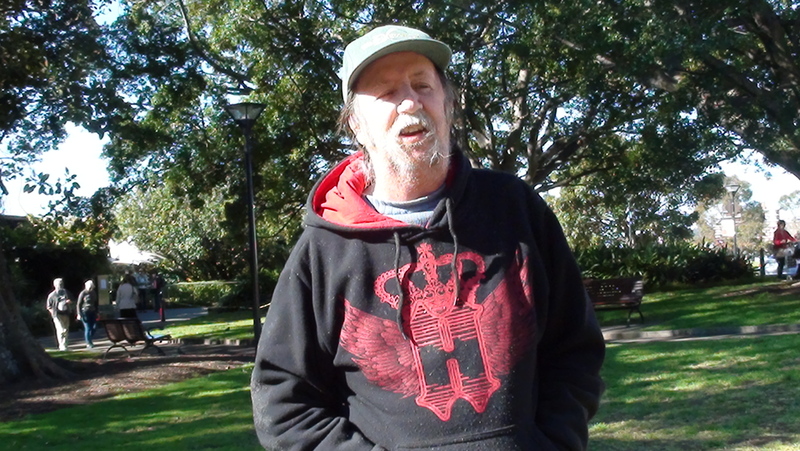 For more history of Sydney’s Speakers’ Corner, and history about Speakers’ Corner in other parts of the world, go to Steve Maxwell’s Passing Parade. Stephen’s book is not only informative, it’s entertaining. We are given a good glimpse at many of the outrageous and eccentric speakers since 1878. Here is an excerpt of a documentary made by the ABC Four Corners program. It was filmed in 1966. Well mannered but gregarious Gary claims hemp is the answer to many of society’s problems, and advocates significant and controversial changes to the laws regarding hemp. His brief stint at Speakers’ Corner, deftly defending his point of view, was appreciated. He is welcome back any time. Click here to get a brief summary of his position. For more videos of Gary (including him singing a pleasant protest song) go to the archives. If you have any questions to ask of a flasher, Andrew is the guy to ask. Andrew was the only flasher in the world prepared to stand up and talk about flashing and support it. However, it seems he has retired because we haven’t seen him for a while. We hope he returns. There are four entertaining videos of Andrew speaking. Here is just one. For more videos of Andrew, go to the archives site. His award winning book about exhibitionism (flashing) is available on Amazon. 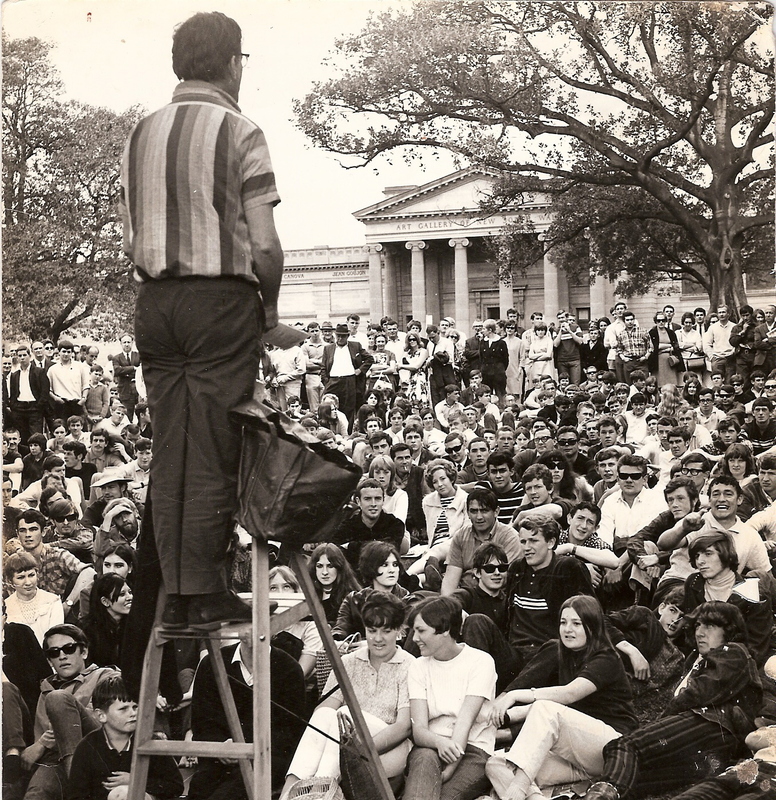 The speakers and hecklers of Speakers’ Corner mourn the demise of Warren Buckland, a speaker for decades. Warren was a gentle, good-humoured man who informed, and misinformed, his listeners on a variety of subjects, from Welsh heros to Masai warriors. He was an entertaining speaker, and his favourite subjects were ‘the oppression of the worker’, and, mysteriously, pelicans. His penchant for talking about pelicans is a mystery which will never be solved. Warren often brought to our attention problems we hadn’t heard of, then generously solved them. Always there was a message in his talks. Though the message was not always discernible. Occasionally, Warren spent a night under the roof of a police station, for a minor offence. But after all, he was a member of the Anarcho-Syndicalist movement, and subscriber and contributor to the ‘Rebel Worker’ magazine. For decades he was the self-declared president of the ‘Muggers, Bashers and Robbers Union‘. At Speakers’ Corner he had no trouble prompting a lively discussion. Throughout his long illness his passion for workers’ rights never waned. He suffered from kidney problems, diabetes, and more severely, from his own self-medication. Warren was a warm and likeable man. Speakers’ Corner has lost one of its favourite soldiers, and it hurts. From another speaker, Steve Maxwell: It was a surprise to hear that Warren Buckland, soapbox speaker for the Domain, has passed away. He was not well. Come to think of it, he was never well even when he was well. Warren was unique. He could have been successful. He had boundless imagination and energy. When I first saw him on the soapbox he was the president of the ‘Robbers and Bashers Union’. He even produced a newsletter. Anarchy is what he liked but anarchy did not like Warren. His companion was Smoky, a red cattle dog. Warren loved that dog but he could see that his home remedies were not working on Smoky. Eventually he was parted from his best friend. We all saw Warren at his best and at his worst. We all have tales of his uniqueness. Let us not forget he had the guts to stand on the soapbox every Sunday and share his unique vision. Even when he was in outer space. And he didn’t need any drugs to do it. For more amusing videos of Warren, see the Speaker’s Corner archives. Warren also edited the magazine on behalf of the ‘Muggers, Bashers and Robbers Union’. It’s called ‘The Federalist”. Donny Dodd in 2017, still going strong. From Steve Maxwell’s book, ‘Soapbox Oratory’ (slightly edited): “Donny Dodd brought an assertive Aboriginal point of view to the Domain. Donny orignated from Palm Island in Queensland. When he was a child he remembered the island as a prison. You needed a special pass to leave the Aboriginal reserve. His grandfather was imprisoned on the island, his only crime was being an Aborigine. Donny, two generations later, was also a prisoner of apartheid, the Queensland version. 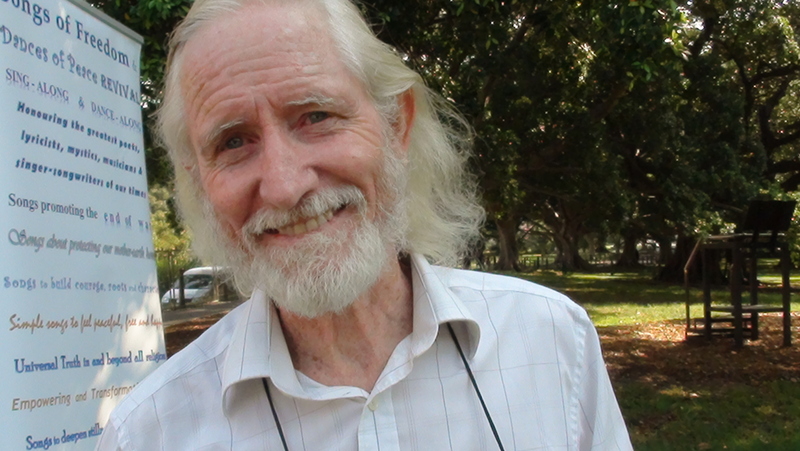 He escaped the island in the 1960s and got a job on the waterfront in Sydney. Donny learnt about Aboriginal politics by carefully listening to the Aboriginal women. Their stories inspired him to try and redress the wrongs done to his people. In 2017 Donny turned up at Speakers’ Corner and spoke. He still had a strong voice! But he died in November, 2018. To see photos of Donny and read an article about him from Steve, click here. 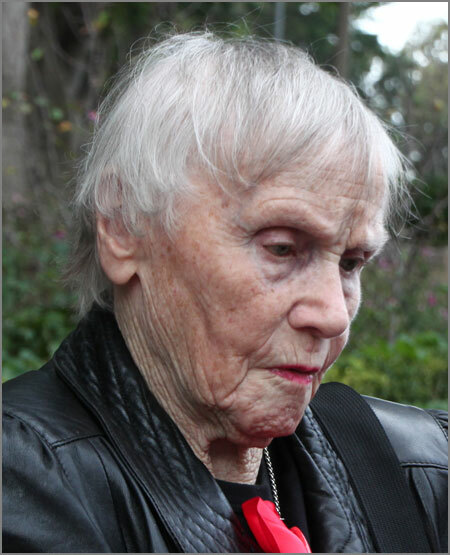 Born in Ireland, Anne spoke feistily and passionately for many years at Speakers’ Corner about unionism, communism, and socialism. She was a member of the Communist Party, and she spoke strongly on behalf of the indigenous people of this nation. A formidable speaker, she swatted hecklers like a four-armed man swats mosquitoes, and she was charming. Here is an article about her in ‘The Guardian’. 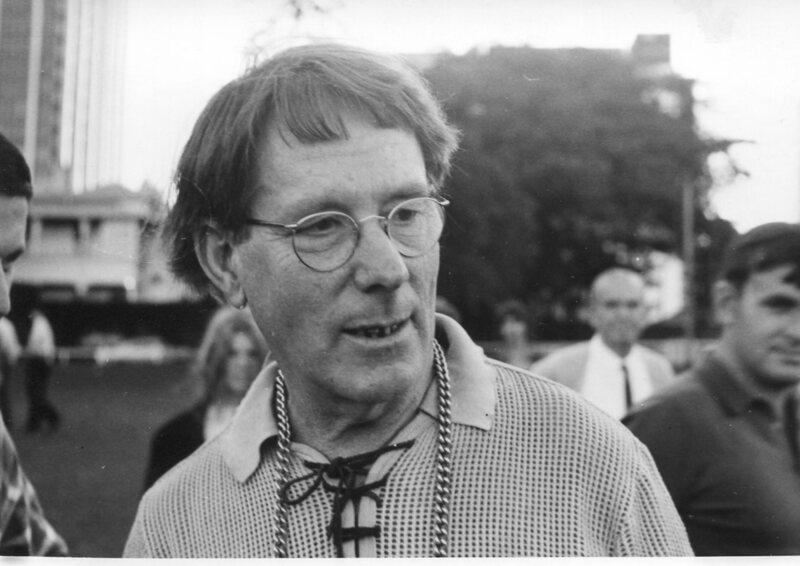 In 1972, film-maker Peter Marjason made a documentary about Webster in the Domain. It’s called, “Webster’s Domain”. It’s a beaut documentary and we thank Peter for giving us permission to present it. And thank you to The Rationalists (The Supremacy of Reason) for sponsoring the digitisiation! Below is an interview with John not long before he died. The ABC Television News – informs us of Webster’s death. The ABC Television News – Webster’s ashes are scattered in The Domain. Here is an example of one page of John’s weekly newsletter. For 25 pages, click here. 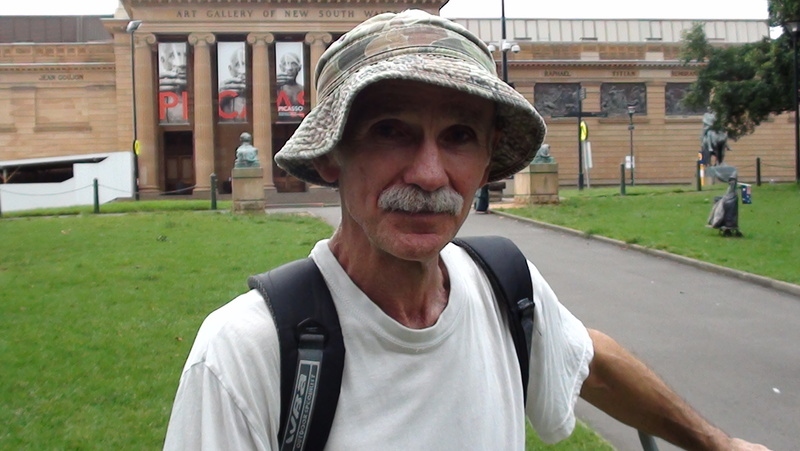 Victor Zammit is known for having the largest crowd at The Domain’s Speaker’s Corner. He spoke about the existence of the afterlife, though used science rather than religion to support his claims, and he spoke about local and international politics. Here is some footage. Victor’s book ‘The Domain Speaker‘ is in two libraries: the State Library and the ASIO library, which is not open to the public. How proud and pleased Victor would be to have his book held in ASIO’s library! Victor Zammit dealing with a heckler. For information about William click here. ‘Oi’, the Speakers’ Corner Dog. For highlights of her when she was up and about, click here and here. Smokey, the Speakers’ Corner Dog. And here is one of Smokey, the Speakers’ Corner Dog before Oi came along in 2011. Smoky was Warren’s dog, and like Oi, had a gentle temperament.